Hello All. 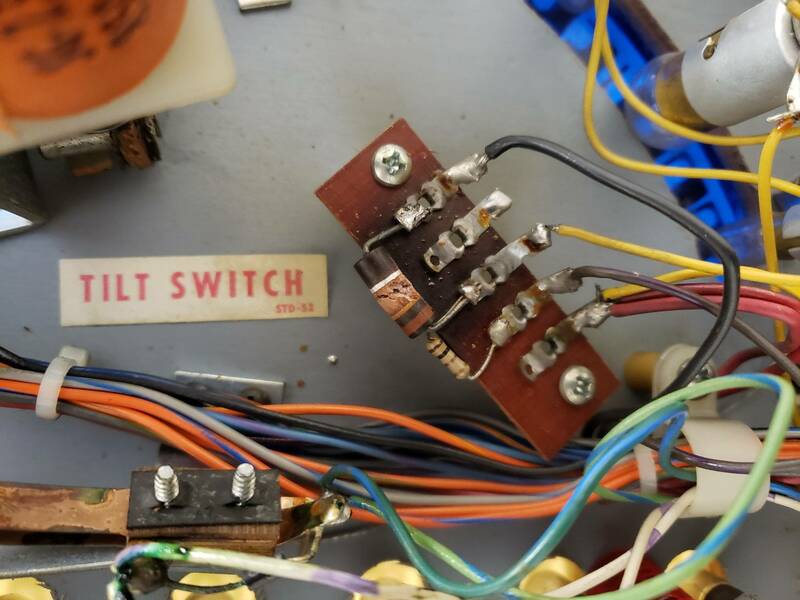 I got a non working Williams Firepower machine last week and started to remove the playfield parts for new rubber (after I ordered the Rottendog MPU327-4 MPU) and noticed this diode or whet ever you call this has seen better days. I've been looking on Pinside and noticed other machines had had issues with this part. It seems to have a lot of heat in this area. This is my first SS game so I am a little lost. How does someone find out the part number for all these diodes that I see at practically every solder joint? I want and need to learn about this subject but really cant find a place to do so. That's a resistor tied to the flash lamps. 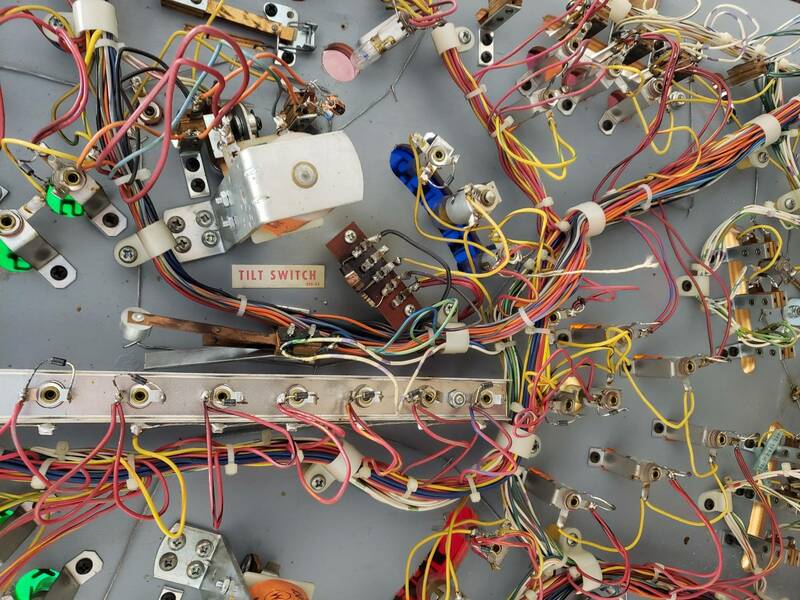 Since the color stripes are burnt away, you'll have to look at the playfield schematics. It appears to be a 330 ohm 2W resistor. It is rated for 7W, which would be much less likely to burn out. Thanks ForceFlow. I will get it ordered. Or.. you could clip one leg and get a couple led flash lamps and be good. If you plan to install leds it needs to be removed anyway. That resistor supplies a small amount of current all the time to keep the filaments "warm" to make the bulbs last longer. If you use led flashers you have to clip off one leg or remove it because the small amount of current will make the leds glow. The small diodes you can use 1n4007 for everything. They are 20 for $1. One thing, when you install your mpu327 make sure the old brackets will not contact any solder pads or traces on the board. There is a thread here of issues where the bracket needed trimming. If the top of your playfield is as nice as the bottom you got a nice one. The bottom is as clean as a pin. Resistors don't supply current. Maybe you meant the circuit that resistor is a part of? The flash lamps are driven by a solenoid transistor on the driver board. 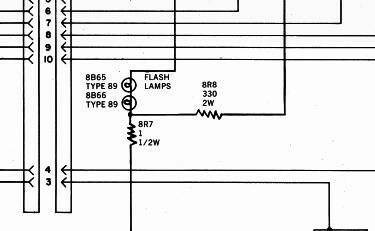 So, the purpose of the resistor is to knock down the voltage intended for solenoids to the voltage that flash lamps can handle. As far as I'm aware, there isn't a warming circuit in place there. ForceFlow the 1 ohm 1/2 watt resistor and the 2 #89 bulbs are the voltage drops in the circuit. The 330 ohm resistor is the warming resistor. The power is constantly flowing through the bulbs and the warming resistor back to ground. The resistance is high enough to not let the bulbs glow but keeps the filaments warm. When the transistor fires the current goes to the least amount of resistance (1 ohm resistor) and lights the bulbs. Ok. Let's micro manage words. I believe you knew what I meant. Let's try this instead. The resistor allows a small amount of current to pass. Thank you everyone. I've learned a bunch already. I looked around and noticed this issue has been going on for years but LED lights have changed things a bit. I see the flash bulbs are right there in my photo but didn't realize it. A photo was posted years ago showing where they are located. Cool stuff. I will do more research from now on before I ask a question. Thanks again and have a Holly Jolly Christmas!